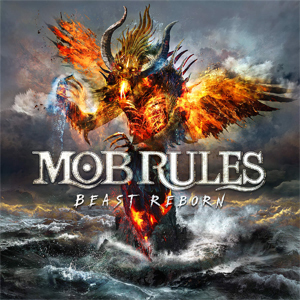 MOB RULES Releases New Single And Video For "My Sobriety Mind (For Those Who Left)"
Northern German Metal band MOB RULES releases a new digital single and video for the song "My Sobriety Mind (For Those Who Left)". The song is taken from their current studio album Beast Reborn. Singer Klaus Dirks explains: "This song arose from a small idea which developed to something great. It grows around a simple piano melody that leads to an tremendous guitar solo. The whole song is carried by the piano, which creates an intimate and melancholy atmosphere, where the singer and his duet partner (here Ulli Perhonen of SNOW WHITE BLOOD) meet. Towards the end the song breaks open for a surprising and fulminant conclusion. The ballad is about the heaviest of all subjects: Farewell, loss and searching solace in the hardest times."